Bio: Born in Denver, CO, with degrees in Electrical and Computer Engineering from MIT, Drexel, and Pennsylvania State University, I was a Professor at the University of Arizona in a former life. I have been active and in love with the outdoors my whole life, but it is only recently that I have become more dedicated to becoming an athlete (of sorts). 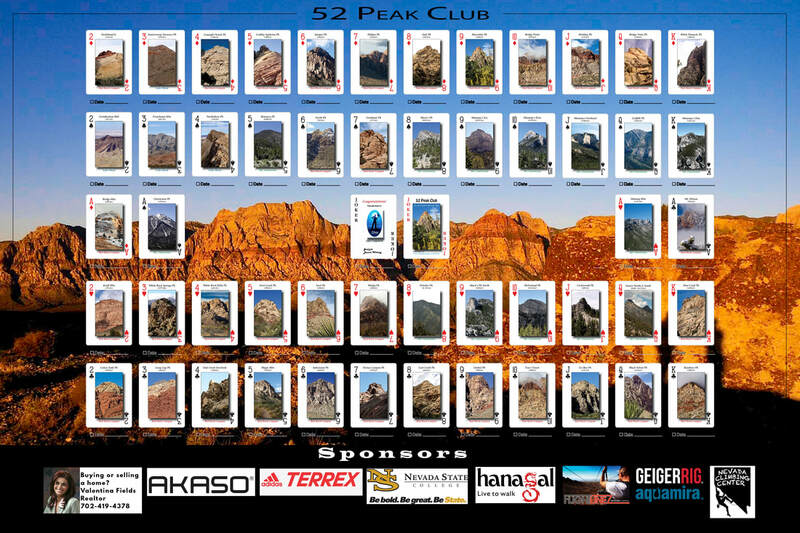 Why did you join the 52 Peak Club: I love getting outdoors and facing new challenges. Rock scrambling is fun, it keeps me active, and motivated to stay fit. Toughest Peak: Holiday Peak was my toughest. 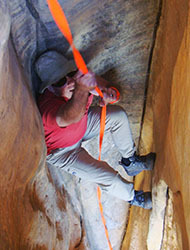 Getting to the top of the slab and then getting around the chockstone was a challenge. Favorite Hike: Bridge Mountain from the Red Rock Summit. It has everything. Lots of great scrambling. Hidden forest, magnificent arch, great company. How did you feel once you became a 53er: It was a long struggle and I wondered if my body would last long enough to do them all. I am very gratified that I hung in there. Advice for new hikers: I was focused on the athletic aspect of this endeavor. Keep fit, eat healthy, exercise regularly. Dedicate yourself to this like you are a semi-professional athlete. It will change you into a new (and better) person. You will be more fit, more active, better outlook, more confident, better able to cope with change. Don't give up, hang in there, you CAN do it.